We help you protect your investment. Working to ensure you have peace of mind in our workmanship & products. Close partnerships with material manufacturers makes warranty & technical support part of our package. Choosing the wrong specification or inferior products has risks. It can lead to issues with image & colour quality, health & safety, performance and material failure. The result — an impact on your brand & reputation, increased operational downtime and significant rectification costs. We reduce the risks associated with poor material and component selection by working to a specification model. This ensures the products we supply are fit for the intended purpose, made to last and have proven performance in the operational environment. Where they're new, we make sure they undergo thorough testing, not just in the laboratory, but also in the field. This is only achievable by having strong working partnerships with our material suppliers. We work to their guidelines for manufacture and installation to ensure the the job is done right. We solve problems together to make products better and bring new ones to market. They trust us and we trust them. That means peace of mind for you and if things don't meet expectations then your covered for it to be put right. Any product we use comes with its standard manufacturer warranty as an absolute minimum, in most cases this is enhanced based on our relationship with them. If it does go wrong then both our technical support team and the manufacturer's will be on on hand to investigate, offer full assistance and cooperation to get things sorted. When it comes to self-adhesive graphics products, like vehicle wrapping films or interior wall films, our manufacture backed warranties will see the old graphics removed, new ones remade and installed as part of the remedy. It's an important distinction between just having the original materials replaced. Using approved working methods and ensuring we do things right, we back our workmanship in production and installation. It's a reputation for quality we have earned and work hard to keep. All our processes and components are audited and approved by leading graphics material manufacturers. We hold the highest levels of partner accreditation with these companies, regularly helping them test new materials in the production and installation environments. It also means the graphics we produce carry the best warranties available. An endorsement of our ability to deliver and a sign of trust. For us projects don't just stop. As well as product aftercare advice, we also offer services to ensure your branding & assets stay in prime condition with onsite maintenance & repairs. Accidents happen. It's particularly important for vehicles, trains and safety critical applications to get back in service quickly. Just one label can hold a train from getting back in service. Every hour a working asset is out of operation it costs money. We recognise that and provide an accident damage & replacement service that ensures key branding components and labels are stocked on our shelves and others made on quick turnarounds. 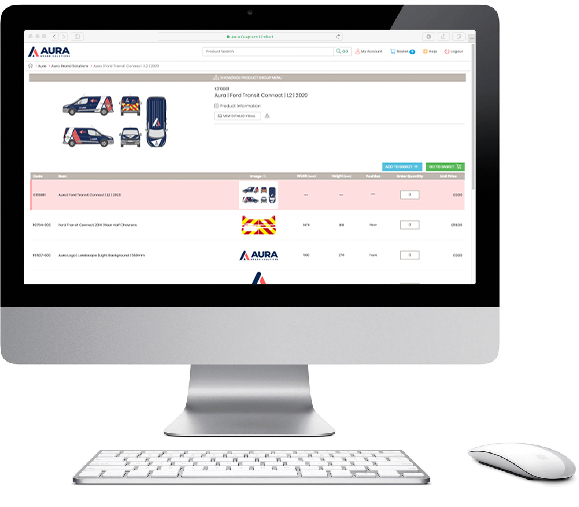 Our versatile online ordering system makes this a quick and efficient process so we can deliver what you need, to you or your repair network, without delay and minimising downtime. We can support you with maintenance programmes featuring a mix of proactive and reactive response options. For some of our vehicle livery customers we provide our FleetWatch service. We actively monitor the condition of vehicle branding, reporting livery damage or out of date designs so marketing and operations teams can make informed decisions on what to do. For many that means us reacting quickly to getting new graphics to site and installed by our teams. 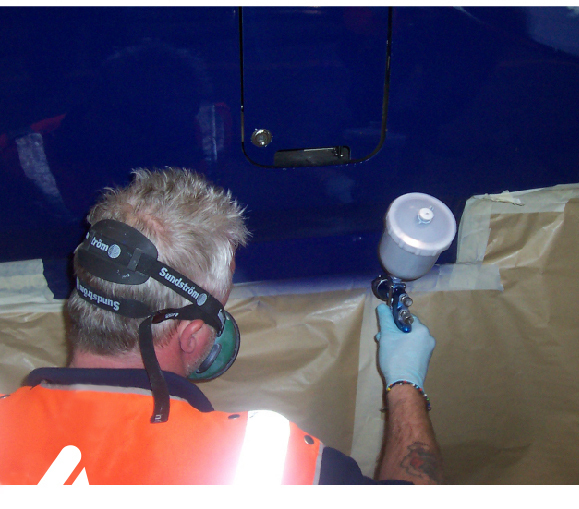 In the rail industry, we have contracts with our staff permanently based at depot, ensuring ballast, graffiti and corrosion damage to the train and its livery are rectified without delay. We stock spares on site and carry out full repair processes, including paint re-sprays. For other clients we attend site in agreed response times with pre-defined costs.